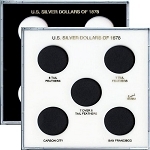 Capital Metor Snap loc Case 4" x 7" Holds 2 - U.S. 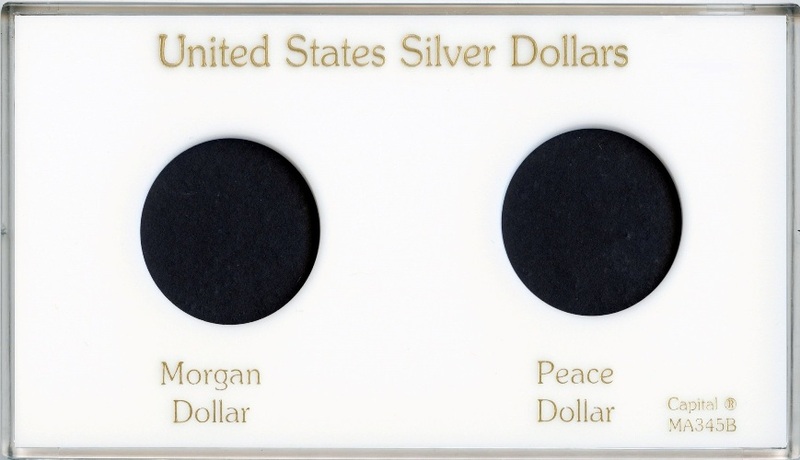 Dollars 1-Morgan Dollar (38.1mm) and 1-Peace Silver Dollar (38.1mm). 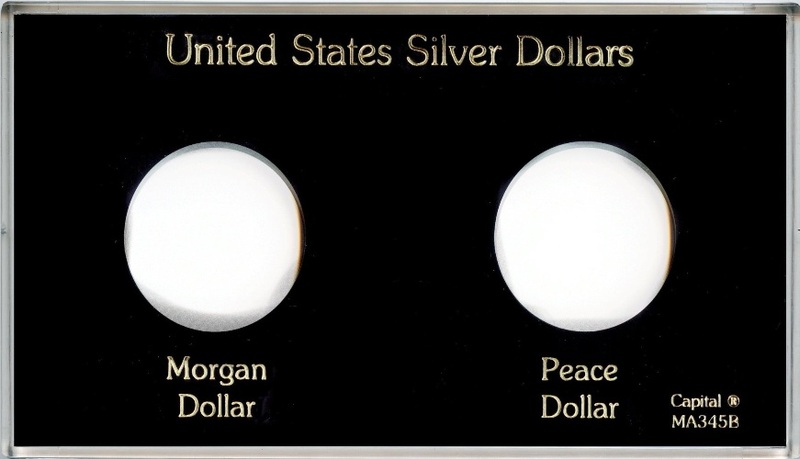 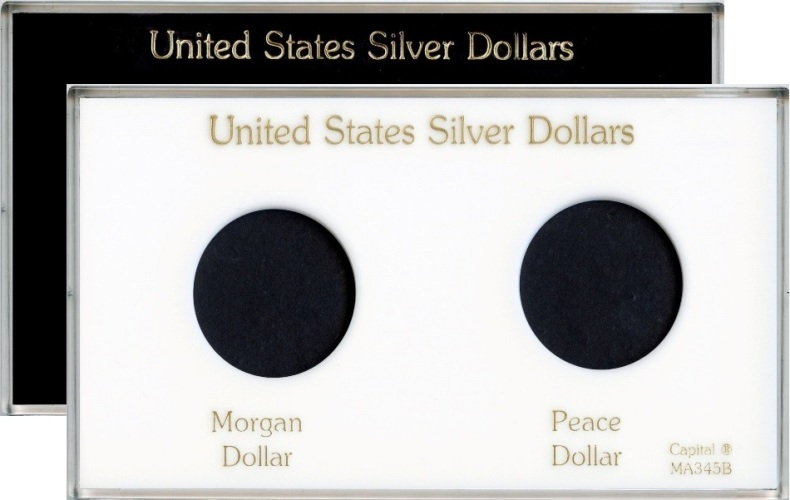 Text under Ports "Morgan Dollar" - "Peace Dollar"